There is a song called ‘Taxman’ by the late Beatle George Harrison that talks about even the pennies being picked from peoples’ eyes after they die. Well, how about the taxman picking pennies for the sale of poppies and wreaths sold for this coming Remembrance Day, for those who have fought and died, or who have come home physically or mentally wounded from battlefields up to and including those in Afghanistan? This October 27, in the provincial legislature, one of Niagara’s MPPs, the NDP representative for the Welland riding, Peter Kormos, called Premier Dalton McGuinty and his government to task for the fact that someone in the government had included Remembrance Day poppies and wreaths on the very long list of items covered by McGuinty’s controversial Harmonized Sales Tax. 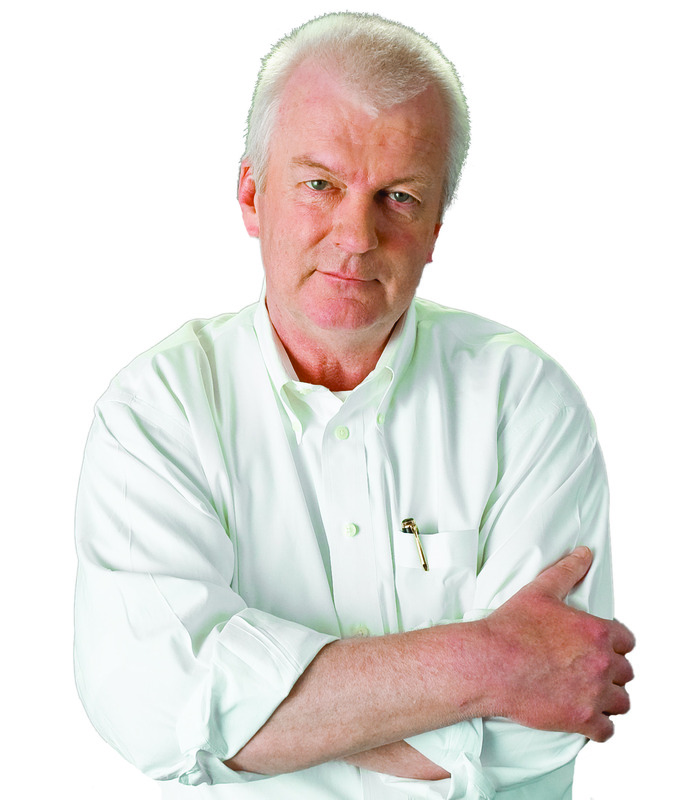 Peter Kormos, the NDP critic for the Welland riding. Liberal Finance Minister Dwight Duncan responded to the NDP critic’s charge that applying the HST – a tax that has already contributed to Ontario suffering some of the highest inflation rates in Canada since it was brought in this past July – to poppy sales is “an insult the to the brave men and women who sacrificed life and limb in the name of our country by saying the following. =Duncan said the HST “has not been imposed” on the sale of poppies and provincial government “will refund” its portion of the HST grabbed from the sale to the Royal Canadian Legion, and is asking the federal government to do the same. Well, a couple of questions here. If the HST was never imposed on poppies, why is a refund to the legion that sells them to benefit veterans even necessary? And why hasn’t Prime Minister Stephen Harper’s Conservative government, which claims it is so high on ‘supporting our troops’, complicit in imposing this tax on our veterans? Something tells me Kormos may have caught these governments with their tax-grabbing pants down. Included below is the media release from the Ontario NDP on this issue and excerpts from this October 27 provincial hansard. 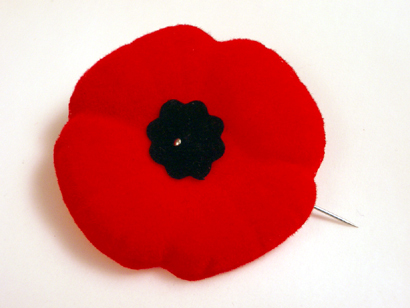 QUEEN’S PARK – Dalton McGuinty’s Harmonized Sales Tax on poppies is just plain wrong, says NDP MPP Peter Kormos. “Who knew that Dalton McGuinty’s HST would take money away from our veterans,” said Kormos. According to the Royal Canadian Legion, the new HST in Ontario and British Columbia is costing it an additional $300,000 on the purchase of poppies and wreaths. That increased cost eats into fundraising revenue that supports veterans and their families. In Question Period today, Kormos asked the McGuinty Liberals why they were taxing poppies and wreaths. “Poppies are about remembering and honouring the sacrifice made by our soldiers. They shouldn’t be about offering the McGuinty Liberals another tax grab,” said Kormos. In response to Kormos’ question, Finance Minister Dwight Duncan promised to refund the provincial portion of the HST on poppies and wreaths. But New Democrats are pushing for a full exemption. “The McGuinty government found the money to exempt doughnuts. Surely, they can find the money to exempt poppies,” said Kormos. Mr. Peter Kormos: To the Premier: Can the Premier tell us why he imposed his HST on Canadian legions’ poppies and wreaths? Hon. Dalton McGuinty: To the Minister of Finance. Hon. Dwight Duncan: In fact, it has not been imposed. I wrote to the Royal Canadian Legion last week saying that we will refund the provincial portion of it. It does require a change in federal regulation. I’ve had a very good discussion with the federal finance minister, and I believe the regulation will be changed so this won’t occur again. Mr. Peter Kormos: When will the minister be writing to homeowners and apartment dwellers across Ontario and telling them that he will remove the HST from their electricity bills? Hon. Dwight Duncan: This is coming from a member who increased taxes on Ontario’s people 56 times. He raised the sales tax. His counterparts in Nova Scotia got elected saying that they would take the HST off of energy, and what did they do? They raised the HST. That member says one thing one day and does another thing when he’s in government. That party has no principles, no plan for a brighter future for Ontario. We’re about creating jobs, 600,000 net new jobs, for the people across Ontario, including Welland. Where do you stand and what’s your plan … no principles, no plan for a brighter future for Ontario. We’re about creating jobs, 600,000 net new jobs for the people across Ontario including Welland. Where do you stand and what’s your plan other than to drive the recovery back into the ground because of ill-conceived and misunderstood economic priorities? HOW LOW CAN THEY GO?????? WE’RE FINDING OUT ALMOST DAILY!We the people cannot sit back just shaking our heads at the ABSOLUTELY INSULTING AND RIDICULOUS money grab which continuously rears its ugly head ……they are making fools out of us & themselves!! This is certainly NOT THE WILL OF THE PEOPLE!!!! THANK YOU VETERANS AND YOUNG PEOPLE WHO WERE AND ARE FIGHTING & DYING FOR OUR FREEDOM DAILY…….. SOME OF US A VERY GRATEFUL AND PRAY FOR YOU AND YOURS !! The real solution to the problem of direct taxation is in the “Constitution of Canada” Section 91 and 92 of the BNA Act. Under our constitution the only place direct taxation, (GST, PST, HST, GASOLINE TAX etc.) any tax on consumers, is found in Section 92 Direct taxation for Provincial purposes. Force both Feds and Provinces to live up to the constitution as the verdict was handed down by a 1950 supreme court of Canada decision. wow! shocking. this needs way more attention! donuts are exempt but not poppies. sounds like the province and feds wanted to sneak this one by us. thanks to MPP Kormos and ONDP for keeping the gov’t on their toes. as opposition is supposed too…as for the 50+ times MPP Kormos voted to raise taxes. MPP Duncan and MPP Hudak have had a collective 16 years+ to remove or reduce all 50. At a rate of two year they’d be almost gone by now. Odd, sounds like the Liberals in Ontario decided long ago to refund the tax but are waiting for the federal Conservatives to do so. …So they do the right thing and they still get blamed while Harper’s gang gets a pass. Just like the HST overall. The Conservatives wanted the HST, gave Ontario and B.C. billions to bring it in, and yet they get none of the heat. The HST could properly be called the Harper Sales Tax. Go figure.